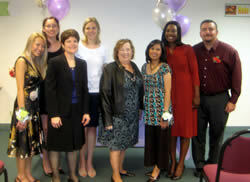 Robin Evans (Internship Director), Ali Alvarado, Autumn Jones, Romie Barron-Briseno, Ilanna Trayber, Sheila Ho, Annabel Castelo and Eloise Jenks (PHFE WIC Executive Director). 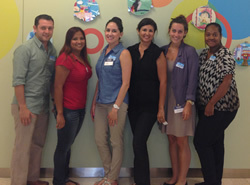 Maria Lozada, Christina Castillo, Robin Evans (Internship Director), Jessica Watson, Eloise Jenks (PHFE WIC Executive Director), Mariza Campana, Khalilah Sharp and Danny Kazorian. 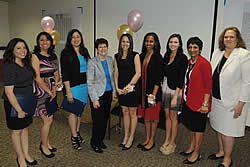 Mayuri Patel, Lauren Mercaldo, Saira Torres, Robin Evans (Internship Director), Brenda Trang-Ho, Christie Springer and Kimberly Uyeda. 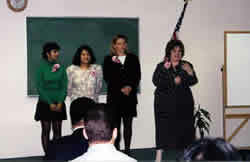 Naira Gavurmadzhyan, Stacy Calderon, Alisa Williams, Robin Evans (Internship Director), Hawani Mulugeta, Edith Esquivel and Morgan Ervin. 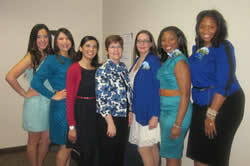 Pilar Flores, Kristen Knauff, Sasha Perez, Robin Evans (Internship Director), Joy Haas, Mari Mendoza and Tammy Reyes. 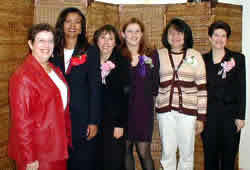 Min Kim Chen, Dana Negroe, Eric Ruiz, Brigida Davila, Kris Hayn and Kendra Ladd. 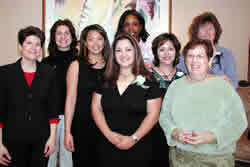 Robin Evans (Internship Director), Laura De La Parra, Cindy Hoang, Karla Lizardi, Erika Spann, Maria Davila, Heidi Lopez and Eloise Jenks (PHFE WIC Executive Director). 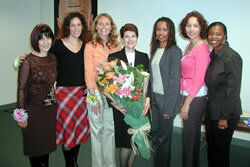 Eloise Jenks (PHFE WIC Executive Director), Debre Abebe, Ariadne Ellison, Souad Nachabe, Connie Agting and Robin Evans (Internship Director). 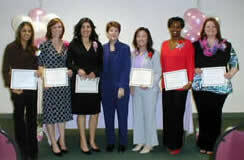 Eloise Jenks (PHFE WIC Executive Director), Heather Miranda, Kelly Epstein, and Laura Rodriguez. 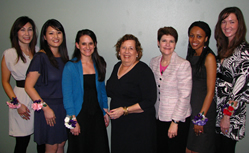 Susan Busse, Christine Boysen, Robin Evans (Internship Director), Kim Chan and Isabel Diaz. 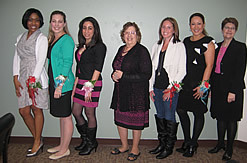 Elizabeth Wooden, Amy Abedi, Robin Evans (Internship Director), Sara Maragni and Wendy Hawthorne. 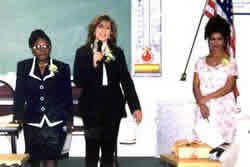 Elizabeth Moreira, Ayleen Marganian and Adela Rivera. 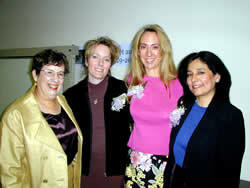 Rebecca Tullgren, Susan Chan, Anita Kelyan and Kathy Cordova.